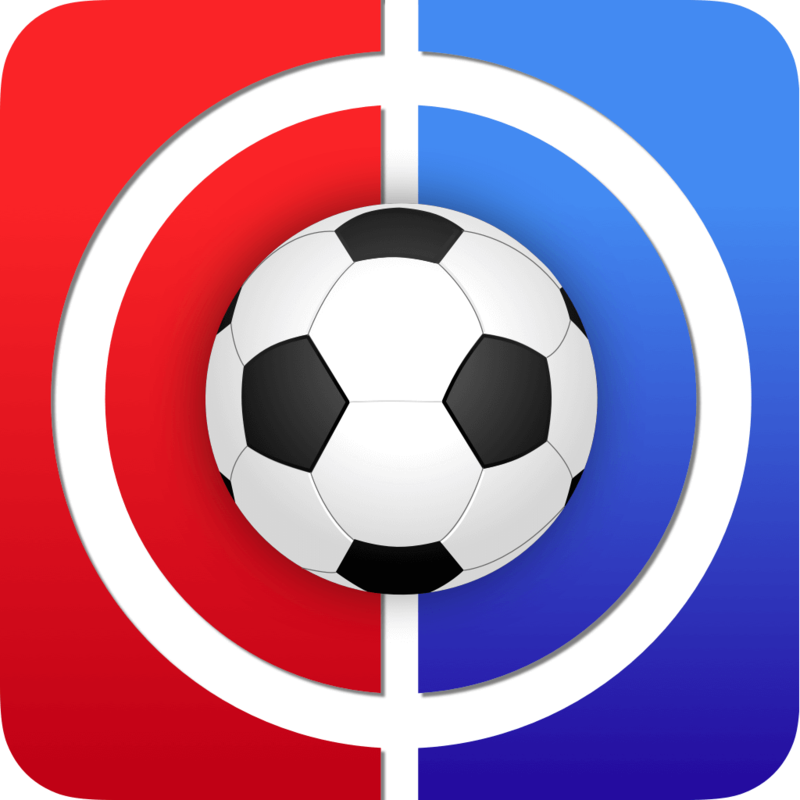 Welcome to MLS GW12 Tips Fantasy Major League Soccer. Let me be honest with you, I’m not sure how many tips you all need this week. There are ten teams on a double this round and, inevitably, just filling your roster up with as many of these players as possible is going to yield some good points for you. In fact, the only way that you can really mess this up is to not make your transfers at all. I guess that might not be true either – you could very well pick the wrong double teams and get completely hosed. Maybe the real issue here is that as I’m writing this paragraph, there’s a very real part of me that wonders if I have the strength to write a DGW article with ten teams featured. That’s a lot of writing. And the real problem? DGW’s haven’t been a 100% success so far this season. That will probably change somewhat due to the sheer volume of doubles featured this round, but rotation and poor second performances have killed a few fantasy scores thus far. So, the only option we really have then is to write this thing out. We’ll have to somehow digest the information – and then we’ll still all have mediocre scores whilst Mito completely crushes it with his picks. Did I just write two paragraphs of non-information when I still have so much left to type? Stupid, Sanchez. Ok, enough stalling. Since we have so much to cover this round, let’s keep the review section brief. Overall, the bookies did a fair job – but their work on the five most favoured games was not really up to par. Fair play to the bookies, the did correctly pick the Toronto game over Minnesota with their top pick of the week, but that game was probably closer than most chalk bettors bargained for. And New England, the third most favoured pick of the week, absolutely dominated RSL in a 4-0 blowout. As for the misses, Dallas v NYC and Portland v Atlanta were both supposed to be easy wins for the home sides – but both ended in 1-1 draws. And the Red Bulls somehow managed to make LA look like a good team in an embarrassing loss. So all told, even though the majority of the picks they made last week were winners, the top five suffered a bit. Which goes to show that even the sportsbook have some struggles projecting how teams will do in a condensed schedule. Before we get too much further into the article, here’s a summary of terms and betting lingo so you can follow along. The American betting lines work best when you think of things with a $100 base wager on underdogs, and a $100 return on favourites. For example, if you see a team is priced +180, that means that if you bet $100, you will win $180 profit. Conversely, if you see a team is priced at -180, that means that you would have to bet $180 to win $100 profit. Teams that are priced at anything more than +200 or -200 are considered to be big underdogs or favourites, respectively. Also, keep in mind that when you see both sides of a bet priced right around -110, that means that the house has no favourite, and they’re just looking to make money on both sides. Hopefully this helps you navigate finding the best value on the board for your fantasy team. After all, if the bookies price a team at +350, they’re not going to be thrilled at having to pay out $350 for every $100 bet, so you can typically safely assume that any team priced that way will be a bust. Before we get into the real breakdown of the games, we should probably list the ten teams on a double this round. They are: Chicago (H/A), Colorado (A/A), Houston (A/A), NYC (A/A), Orlando (A/H), Philadelphia (H/H), RSL (H/A), San Jose (H/A), Seattle (A/H), SKC (H/A). Just take in that list for a minute. 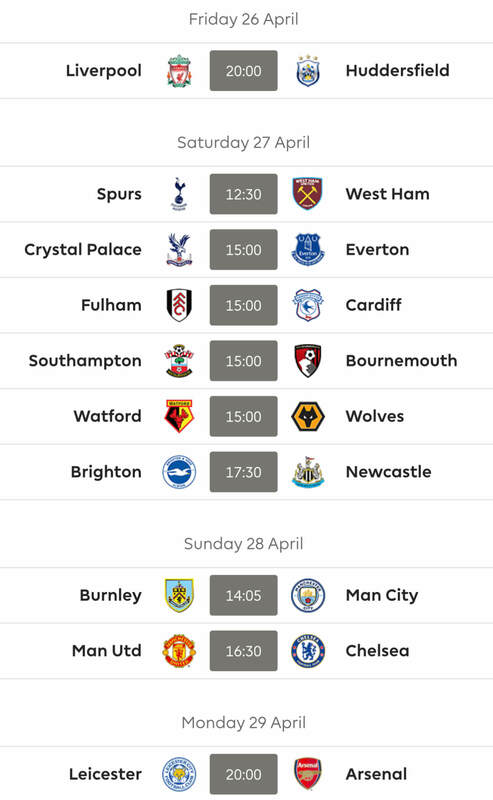 Listing out the home and away fixtures behind their names already gives you some clue that this isn’t going to be ideal for picking teams. Of the ten teams, only Philly will play both at home. And the real trouble comes with Colorado, Houston and NYC; all three of those teams will be playing both games away. It makes you stop and think if Torres and Villa are really going to be worth it this round playing away twice. Nothing is quite so cut and dry this week, so pick carefully. Philadelphia (-105) v Houston (+270) – Maybe it’s a blessing in disguise that Philly play twice at home this week. They’ve come into some form recently – but their reputation still isn’t great. What that means is that picking Philly players is one of the smartest moves available this week, but people haven’t really caught on to how dominant they’ve been over their last two matches, so you might get some differential bonuses here. In their first eight games of the year, Philly were held winless, only accumulating four points total. But then, out of nowhere, something with this team ‘clicked’. Their last two games have been shutout wins to the tune of 3-0 and 4-0. Houston have been stellar at home, we’ve gone over that extensively in the past. But on the road? Not so much. They’ve played three games on the road, and they’ve lost all three. Whereas they have a goal differential of +13 at home, they’re -6 on the road, and both of their most recent road matches saw them shutout completely. It’s hard to say what it is about the MLS that makes this disparity for teams. Sure it’s the rotation, but it’s also some kind of factor that’s now in the players’ heads. Whatever it is, Philly are the favourites for the match, and deservedly so. The over/under for the match is set at 3 goals with the over getting +110 (under at -135). Chicago (-130) v Colorado (+380) – Colorado have two wins on the year, and both of those wins came at home. They did a fine job in their last match, scoring 3 or more goals for the first time this season. But on the road, they also are a different team. Colorado have lost all four of their road matches, and they’ve only scored a single road goal all year – and that was a penalty. Seeing the cold hard facts, their rating for this game isn’t a shock at all. Chicago are actually stellar at home – and if they continue to perform at home so well, they’ll make the playoffs. Hell, they might even win the World Cup. Chicago are nearly perfect at home with four wins and a draw. But their most impressive stat is that they’ve only allowed three goals against them through five games at home – no surprise then that three of their four wins have been shutout wins. Due to them being stingy at home, the over/under for the game is 2.5 goals with the over getting EVEN money whilst the under is a bit more favoured at -125. Probably one of the easiest 2-0 predictions you’ll see this week. SKC (-125) v Seattle (+355) – SKC are doing what SKC do. They’ve made their home field a fortress that nearly always yields 3 points, and they’re annoyingly competent on the road. They’re not perfect, but competent. This being their one home game this week, they shouldn’t have many problems. They’ve won their last four home games easily, and their most recent pair of home games were shutout wins. Adding to their already brilliant record at home is the fact that they’ve only conceded twice through five home games. Not too shabby. Seattle on the road, even at home, are a bit of a mess. They’ve played six games on the road so far this year, and they’ve only won once. There are pundits abounding with opinions about what’s wrong with Seattle – but it could be the champion’s hangover type of effect, similar to what Portland struggled with previously. The fact of the matter is that nobody is ‘afraid’ to play Seattle at this point, and that perception goes a long ways. Seattle don’t have their identity with all of their players healthy. Prior to Lodeiro coming in, Seattle were Dempsey’s team. Then after Dempsey’s injury, the team won being under Lodeiro’s sole guiding influence. This year? They don’t know who they really are, and it shows. The over/under for this game is set at 2.5 goals with the over getting EVEN money and the under taking -125. Note this: Seattle have played in six away games this year, and five of those game saw the match hit the projected over mark. So maybe they don’t win on the road, but they provide scoring opportunities – for both sides. RSL (+145) v NYC (+175) – RSL can’t even be considered the favourites here with that pricing. In fact, this game leans so heavily towards being a draw from a betting standpoint, that it may as well just make NYC the team to beat – and that’s how it looks from a statistical point of view too. RSL are truly awful. They’ve now lost their last four games, and they’ve failed to score in their last three matches (losses of 0-3, 0-3 and 0-4). They don’t have the first clue in how to score goals – and they certainly don’t have a sense in how to defend. When your most recent run has you going down 0-10, you’ve got problems in every facet of play. NYC, on the other hand, have been decent on the road. So this really shouldn’t be an issue for them. After stumbling in their first two road matches this year, NYC have followed up with seven points from their last three on the road – including a gutsy 1-1 draw against heavily favoured Dallas last week. The real question will be how much NYC rotates this week given the congestion and travel – but even a relatively B-squad showing from NYC should be enough to see them through. The over/under for this match sits at 3 goals with the over getting +115 to the under’s -145. And it really does appear that the bookies are expecting NYC to grab all of the goals for themselves. San Jose (-125) v Orlando (+345) – This pricing will come as a shock for most, because it does seem a bit unfair on first glance. But San Jose are still undefeated at home this year, and their most recent home performance did see them beat Portland 3-0. Now Portland had injuries for that game, but kudos to San Jose for having enough about themselves to capitalize on that fact. Most teams wouldn’t really hammer it home like they did in that case. Orlando are getting a lot of credit in people’s minds because they’ve been on national TV quite a bit at home this year – and they’ve been really good at home. So it’s flown under the radar a bit that they’ve been rubbish on the road. They’ve won once and lost thrice, and their last road outing against Houston ended 0-4. So having all of the facts, maybe that initial pricing is a bit more fair than we first thought. The over/under for this match is set at 2.5 goals with -110 paying both ways. And that really does give the sense that nobody knows how this game will go. It could be an easy 1-0 San Jose victory – but both sides have shown that they can produce (and concede) lopsided tallies in the right situation. NYRB (+120) v Toronto (+235) – This a bit of a mess of a game, and now that neither of these teams are on a double, maybe it’s just best to leave all players from this game off your squad this week. The Red Bulls had been dominant at home up until their most recent game against LA. We all thought LA were complete garbage, but their 3-1 victory over the Red Bulls probably says more about the Eastern team than it does about the Western one. So it’s tough to know what to expect out of them this weekend. On the whole, the NYRB record at home is still stellar. Prior to conceding 3 goals last weekend, they’d been on a run of only conceding a single goal at home over five matches. So does this new data mean that NYRB are coming back down to earth, or was that last loss really an aberration that we can quickly discount? Toronto are probably tired…still. After back to back DGWs, they can’t really have all that much in the tank. Add to that Giovinco being injured for the next several weeks – and you don’t really know what you’re going to get out of them this round. Like I said, the good news is that you don’t have to worry about it. The over/under for this game is set at 3 goals with the over getting EVEN money and the under getting -120. Just pass on this game completely and move on. Montreal (+130) v Portland (+205) – Montreal aren’t really favourites to win this game, and that’s because they don’t really know the best way to win games. They don’t even know who their best XI are, and thus, they deserve to lose as much as they have. Did anybody catch the action this past weekend with Montreal? Jackson-Hamel subbed in and almost immediately scored a goal for Montreal. Jackson-Hamel is now tied with Piatti for the most goals on the team (4) – but he can’t get a start. Go figure. No surprise then that Montreal lost at home against Columbus 2-3 this past weekend. If you don’t play the best players, you won’t get the best result. Pretty simple. Portland are once again reeling after dropping points at home – and maybe a road game is what they need to pick themselves up. The only problem is that they’re about 50/50 to win or lose a road game, so hopefully Montreal continue to play their B-squad to start the match. The over/under for this match is 2.5 goals with the over being heavily favoured at -175 to the under’s +140. This line is so exaggerated that I expect it to be changed quickly to a 3 goal over/under by the time the weekend rolls around. Also note: Valeri might be a heavily picked player this week due to SGW players ‘guaranteed’ not to get rotated. But Valeri has yet to score a goal on the road this year – so now isn’t the best time to gamble on him getting you points in that fashion. DC (+105) v Chicago (+265) – Where did DC go all of a sudden? They had a spell there with three wins over five games that made them look almost decent – but in their last two matches (both at home) they’ve been shutout in back to back losses. And that type of form really makes Chicago an attractive option this week for getting some points in that second fixture. In their six home games this year, DC have only scored 4 goals, and they’ve actually been shutout in four total now. Really, with a bit of elbow grease and planning, you can wipe DC United right off the pitch in just under 45 minutes. Chicago have been the real night/day team of the league this year. They’ve been great at home (see above), but they haven’t yet won on the road. Maybe that’s all about to change with this fixture. I don’t know that Chicago would have enough in the tank to take down NYC at Yankee stadium – but DC are begging people to beat them at home. Chicago’s main problem has been scoring away. Whereas they have 12 goals at home with a +9GD, they’ve only scored 5 goals on the road with a -7GD. If Nikolic is trying to turn the corner and become a household name in this league, he could do himself a huge favour and score in bunches in his two game series this round. Add to that: the over/under is set at 2.5 goals with the over being favoured at -150 to the under’s +125. So if DC can’t score at home…that must mean Chicago are being tasked with having a monster outing? At least that’s what I’m hoping despite the price disparity for the actual team lines. Seattle (-205) v RSL (+575) – How do you cure a case of mediocrity? Play RSL at home. At least that’s what Seattle will be hoping this week. We’ve already touched on both of these teams above – but I will say that this is the biggest favourite on the board this week. I know…Seattle? That’s all just testament to how poor RSL have been. They made a huge deal of changing out the coach, but that really didn’t change anything. This RSL team isn’t really built to compete now, and Seattle should be able to muscle them and get the badly needed win. Also, given RSL’s complete lack of defence right now, the over/under for this game is being set at 3.5 goals, which is monstrous. The splits are +125 to -150 on that line, but the mere fact that they made the line that high is very telling. They’re actually saying that Seattle should have enough about them to score 3 or 4 goals themselves in this match – and that immediately perks my interest for Seattle players on my squad. Atlanta (+115) v Houston (+240) – Atlanta had a fine showing in Portland this past weekend, and that momentum could do wonders for them back at home (finally). Atlanta have only played three games at home this year, so they don’t really have a track record yet of how they’re going to differentiate themselves in home and away fashion – but their last game at home was a loss against DC…so that’s worrying. The real focus of this game will be for people who decided to try to double dip with Houston – but having the double be a pair of road games is just a bit worrying. We’ve been over why Houston are a worry on the road earlier, so I won’t rehash that here. The over/under for this game is also set at 3.5 goals with the over taking +105 to the under’s -125. So take note of that. Presumably, Atlanta are being tasked to score the bulk of that, but it does give Houston owners some hope that they can be involved in a shootout. Philadelphia (-110) v Colorado (+315) – Philly really have been given every opportunity here this round to make some headway in the table. And given their form recently, this game shouldn’t have anything too much to worry about. Colorado on the road are just so poor. It’s almost sad really. How do you get this far in May and only score a single road goal? Somebody give that Colorado team a hug. The over/under for this game is 2.5 goals with the over being favoured at -125 to under’s EVEN payout. Honestly, a 3-0 victory for Philly is what’s being predicted here. Vancouver (+130) v SKC (+215) – This game is probably being sold to us here as a draw. Vancouver have done better at home recently winning their last two matches up north of the border – but like we said above, SKC are competent on the road. And they always seem to do just enough to get some kind of result. And until Vancouver establish more of a streak at home, this pricing has to be considered fair. Remember, Vancouver didn’t score at all in their first two home matches of the year, so this most recent run of form could be the exception, not the rule. The over/under for the match is set at 2.5 goals with both sides paying -115. And I agree with that. In my mind I can’t figure out if this game is a 1-1 draw or if it dips to either side 3-1. For those looking to bulk up on SKC defenders though, this game isn’t a deal breaker for that strategy. It just adds another wrinkle to consider. A quick note on these Sunday games: the pricing is very preliminary, and as such, no over/unders have yet been set. And these ‘morning line’ type prices’ will see the most fluctuation until the games get a bit closer. That being said, the morning line prices still give a good indication as to the general thoughts of the bookmakers. New England (-130) v Columbus (+300) – New England just played in Columbus two rounds ago and lost 0-2. I guess now is the time to return that favour if these prices are to believed. And with New England putting up a 4-0 victory in their last match, that’s definitely a possibility. Like most teams, the Revs are better at home, and they’re still undefeated this year in that respect. So a revenge scoreline might be in the cards. Columbus will be battling tired legs coming off their double, but they managed a fine win in Montreal to close out that double behind a Justin Meram hat trick. And it might take another individual performance to take down New England this round if you’re the Crew. Minnesota (+180) v Los Angeles (+150) – You know how I know that LA’s victory in NY didn’t mean much? Because here they get to play in Minnesota and they’re basically priced to draw. It’s not like anybody is going to pick from these two teams this round anyway, but it should be noted for future games that LA still have a ways to go to prove that they’re a club to be respected. It would be interesting to see what the over/under for this game will end up being, but for now, it’s not really going to affect any of us. Orlando (+120) v NYC (+210) – Oh look, NYC are playing on Sunday…again. Honestly, at this point it’s a bit shameful how slanted the TV coverage for MLS is becoming. But that’s a rant for another time and place. The main takeaway here is that Orlando aren’t being given a huge favourite rating to start the betting, and that’s a bit of a concern if you’re planning on making Orlando a centerpiece of your team. Orlando have already beat NYC twice this year (home and away), and as such, they should probably be getting better pricing than this. Unless the odds makers are thinking that too much travel for Orlando in such a limited space is going to take its toll? And if anybody is going to rotate, you know that Kaka will probably see limited minutes one way or another. Tough call with this game. How do I begin to rank players on a week when ten teams play a double? The fact of the matter is that I can’t. And besides that, who’s still even reading this thing at this point. I’ll have to check the records, but I’m pretty sure that this is up there with some of the longest articles I’ve ever provided. And what really chaps my asterisk is that a couple of players rotated out for nonsensical reasons will change this thing around completely. So in lieu of me throwing out player picks – I’ll just rank my captain choices here this week. #1) CJ Sapong – He’s got two home games which lessens the threat of rotation, and he’s coming off a hatty two rounds ago. Honestly, he may not be that popular, but he’s worth more than a shout this week. #2) Nicolas Lodeiro – Seattle have the unique distinctions of being ranked twice in the ‘Biggest Favourites’ section this week, once as a favourite and once as an underdog. So I’m going to take Lodeiro for the game against RSL, and I’ll just hope that he gets more than 2 points away to SKC. #3) Nemanja Nikolic – Honestly, this guy probably should be considered for your team before Larin and Villa given the form he’s in and given how hard they should smash Colorado. The DC game later on is just a bonus. #4) Florian Jungwirth – Do you have any idea how good Jungwirth has been from a fantasy perspective? He’s second in fantasy points to Justin Meram – and Meram had a hat trick last week. So Jungwirth’s 86 points to Meram’s 87 mean that he consistently will churn out points for you. Oh yeah, and he’s on a double this week. Pick him first for you team so that you don’t forget. #5) David Villa – He’s on a double. The whole world will pick him. No he’s not the best choice for this round. It probably doesn’t matter. Pick him so you can be one of the sheeple too….But on the real, two road games is begging for some rotation in the ranks. So don’t be surprised if it nips you. Don’t forget to stop by mlsfantasyboss.com to catch up on their great weekly articles that lead into the deadline. Many thanks for this Guy. Just got finished reading it and it’s great!! Gone with a few differences this week because I have gut feelings about some of these players and also why not I might as well do something different. What do you think? First off, I love any team with Jackson-Hamel. Already a winner in my book. I like your off-the-beaten-path mids. With rotation likely in several areas, those have as much chance of having success as most others in their price ranges. Outside of that, I think you nailed the forwards and the defenders. So all good from my point of view. That’s the morning line pricing there. My typical source still hasn’t listed that game, even though it’s on a Saturday. I’m still going to stick with just Jungwirth probably and hope for the best. Sapong/Gressel switch with Jungwirth – not sure about Sapongs game time so if he bombs tonight and isn’t in the squad on Saturday, I can bring in Gressel against a well travelled Houston. Vincent/4.9 mil defender switch with Bernardez. I prefer bernardez to Jungwirth but he only played 90 in the last DGW. Unsure on any good 4.9 defensive switches though. I’m partial to the first option. If Sapong whiffs, you’ve still got Jungwirth in against an Orlando team that hasn’t done anything on the road this year.